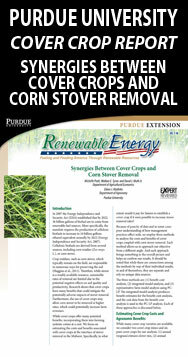 Cover crops are vari­eties planted pri­mar­ily to improve farm bio­di­ver­sity. These crops help farm­ers improve soil tilth, reduce water runoff, con­trol weed and pest prob­lems as well as stop ero­sion due to wind and rain. All of these ben­e­fits come from cost effec­tive crops planted to pro­tect the soil at its most vul­ner­a­ble time – when it’s bare. In addi­tion, these crops can offer emer­gency feed for on-​farm use. The vari­eties released into the mar­ket by seed com­pa­nies have often been an after-​thought. Much of the seed has been from un-​sold carry-​over and is not the highest-​quality seed avail­able to the mar­ket. PURE-​FORMANCE prod­ucts change that. Choos­ing a cover-​crop plan can be a daunt­ing task. There are a sig­nif­i­cant num­ber of vari­ables to take into account and there is no sil­ver bul­let, or one-​size-​fits-​all plan. 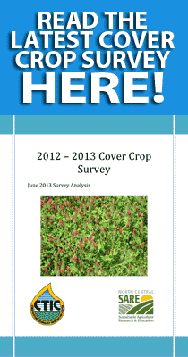 It is very impor­tant to con­sider many fac­tors in cover crop­ping. While choos­ing the right prod­uct is crit­i­cal, know­ing what oth­ers are doing and see­ing how the prod­ucts per­form in tri­als helps you feel bet­ter about the prod­uct you plant. We are cur­rently work­ing on the sales loca­tor por­tion of this web site. Please con­tact the Moun­tain View Seeds Office for cur­rent pric­ing and availability.